With this documentary, we want to make public what took place between June and August of 2016, through the voices of the citizens, teachers, mothers, and municipal authorities of Oaxaca. Since June of 2016 — ten years since the uprising that for more than six months this state in the south of Mexico participated in — professors and communities from the eight regions of Oaxaca returned to the streets. Their main demand is the repeal not only of the educational reform, but also of the whole package of structural reforms better known as the “Pact for Mexico,” which the administration of President Enrique Peña Nieto—under the influence of the World Bank, the International Monetary Fund and the Inter-American Development Bank—has been trying to impose since 2013. The following documentary conveys the feelings and testimonies of the people that lived through the massacre that occurred in Nochixtlán on June 19. 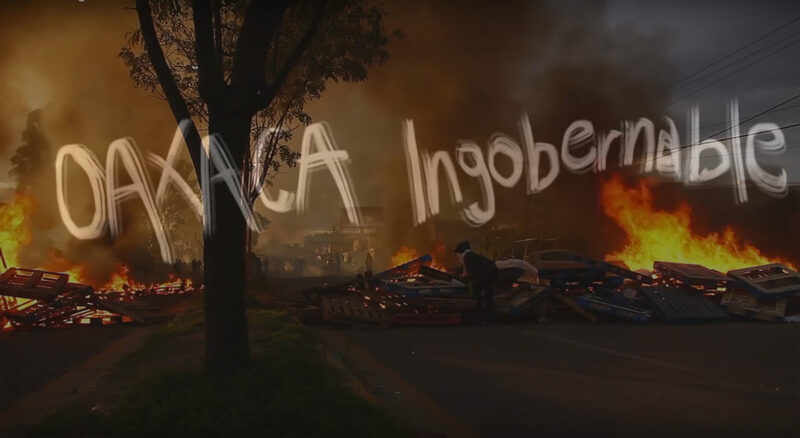 The following documentary conveys the feelings and testimonies of the people that lived through the massacre that occurred in Nochixtlán on June 19, when the police killed at least 11 demonstrators. After various government attempts at negotiation with the families of the fallen, the people maintain their position of rejecting the Educational Reform and the structural reforms. “We do not negotiate with our dead. Instead, we ask the federal government to leave and the state government to go with them, because they do not know how to govern the Oaxacan people,” said the mother of a family that was part of the dialogue commission of Nochixtlán with the federal government. 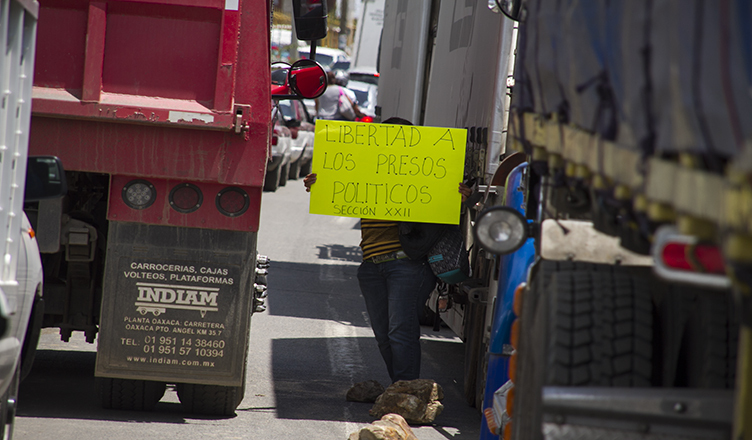 The morning of June 19, the Ministry of Public Security of Oaxaca (SSP-O) and the Federal Police (PF) perpetrated a coordinated attack to evict the highway blockade maintained by the students, teachers, and inhabitants of Nochixtlán. The result was 12 murdered, 27 arrested, 7 disappeared, and 45 injured, 37 by live ammunition from firearms. Faces illuminated by the heat of the barricade that would later be deprived of life. 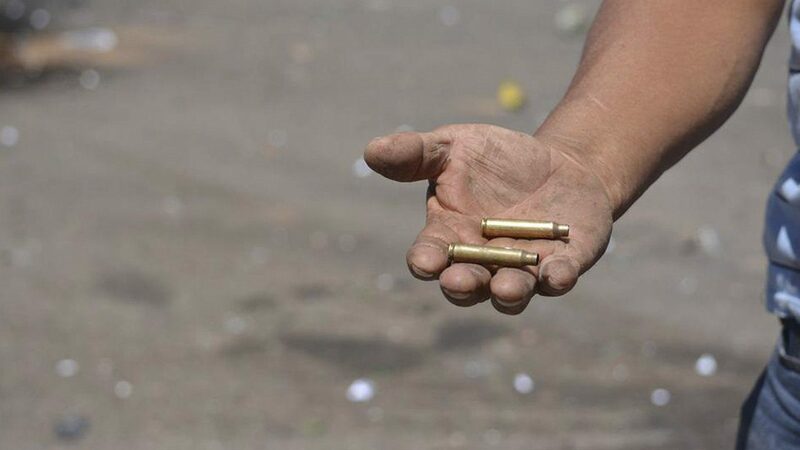 Tense days in Nochixtlán. A tense calm. In the mornings, the cold is accompanied by coffee, bread, or atole, the result of collective organization. By night, military harassment and the absence of sleep, but also music and a determination to defend education.